Students around the world, after learning about Fambul Tok, have asked us how they can get involved. 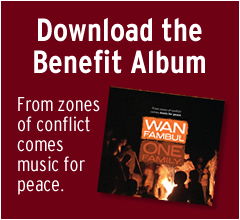 Informal groups and clubs have emerged organically, some with inspiring and dedicated ways of sharing Fambul Tok’s messages of forgiveness, justice and community (notably, The Philadelphia School). Inspired by this energy, we are developing an official Fambul Tok Student Clubs program for high schools, and will launch the pilot for this in September. The program will be action based, supporting students in learning and sharing about the values and practices of Fambul Tok, and also about what defines and makes their own communities unique. The Clubs will help students build community at their school, and also provide a channel for connecting with students in Sierra Leone, in the process developing themselves as community and global leaders. In keeping with Fambul Tok’s value of ‘walking with communities to find their own answers’, we wanted student involvement and ownership from the beginning of the program. 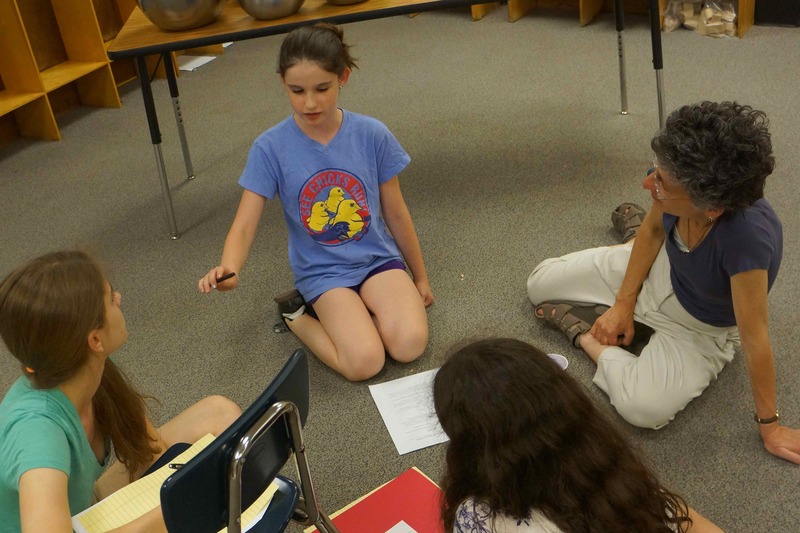 On June 13th, we held our first student consultation at The Philadelphia School, with student leaders in the area who will serve as some of our Club founders in September. The consultation had three basic goals; first to discuss the conceptual framework for the Fambul Tok Student Clubs, second to review and get feedback on a draft Club toolkit and action guide, and third, to brainstorm activities and club names. 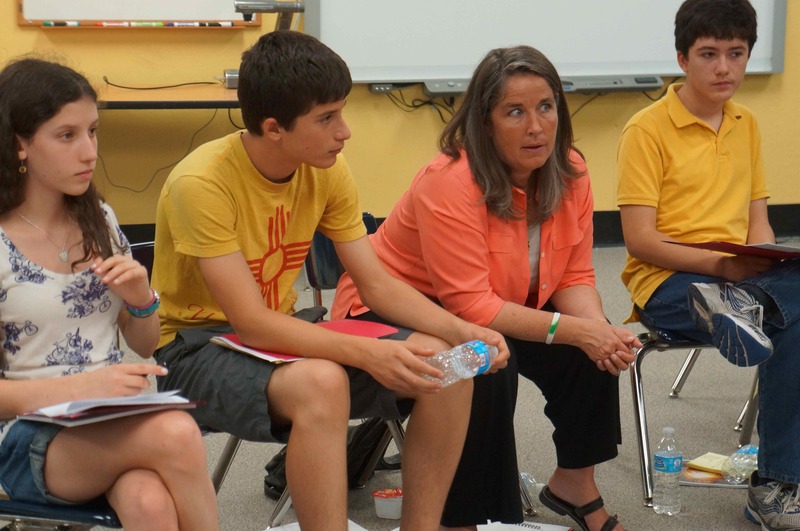 The consultation brought together students entering seventh to tenth grade, as well as faculty and parents for an open discussion. Students were both excited and nervous about starting Fambul Tok Student Clubs and showed maturity, intelligence and passion in discussing the ideas behind the program. Their confidence grew over the course of the meeting, even as they raised and wrestled with important ‘big picture’ questions. 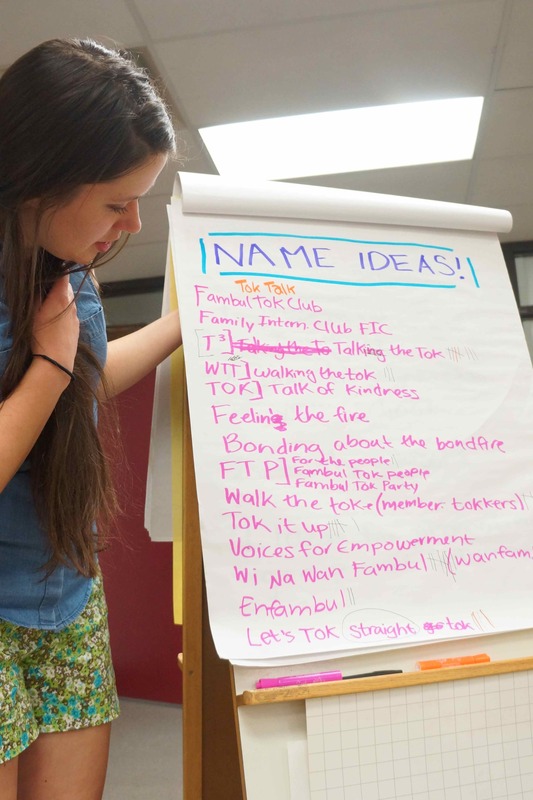 It became clear that the students’ shared common goals for the Fambul Tok Student Clubs were to use the unique and powerful teachings of Fambul Tok to create community cohesion and pride and promote student advocacy. But this raised an important question; what exactly will this look like? The ‘this’ would look different in every community and every school. 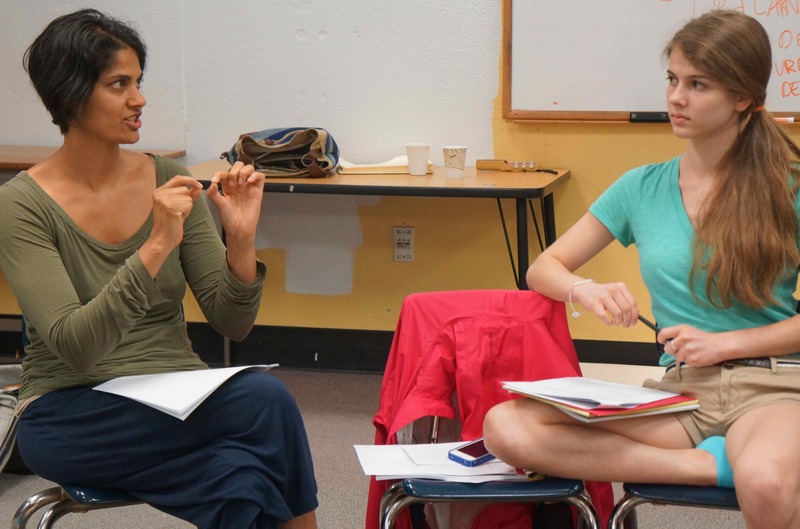 Those who already know about Fambul Tok have seen how it helps in creating change, but how would students help other people understand why Fambul Tok works? Both questions remain partially unanswered, but we are sure that the answers will emerge as we continue. 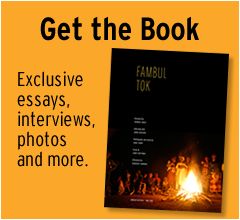 Fambul Tok is a concept that is both easily accessible and deeply complex. We all know why acknowledgement, apology and forgiveness help us move on, we all know how important relationships are to human existence, and we all want to be active and important members of our community. But how do we live this? How do we embody this in our individually-oriented western culture? Students brainstorm club action ideas. These are questions these students are clearly interested in helping to answer through action. 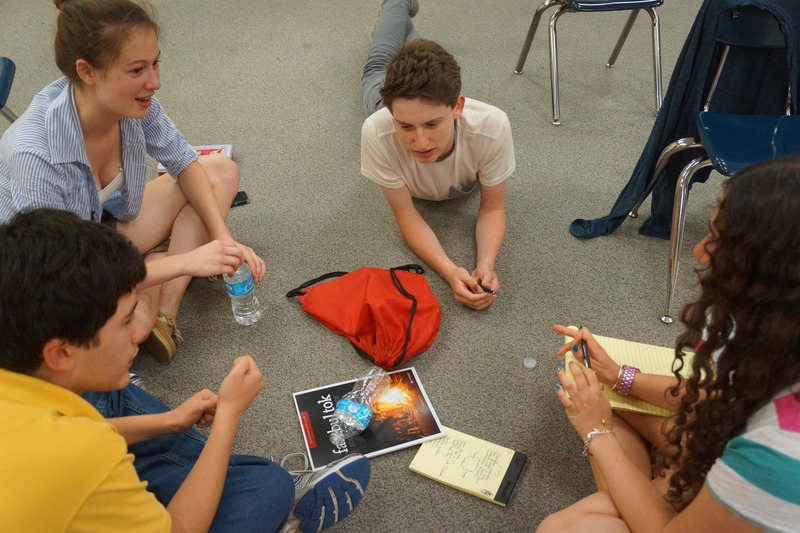 They are very driven to foster their own empowerment and strengthen their voice, develop strong communities, connect globally with their peers, find like-minded students, and create a safe space to talk and be with the people in their lives. Students are excited by the structure and the potential of the Fambul Tok Student Club program, always having a place to fall back on when lost, and the potential to take the Clubs in any direction they or their communities need. Brainstorming possible club names, there was a strong interest in using the words that have come from the on-the-ground program itself. “Wan Fambul,” which means “one family” in Krio, was a strong favorite in this regard, and “Talk the Tok” also held a lot of interest (especially since it could be shortened to T3). Chloe Beaven presents the name ideas. Stay tuned for more on the name as it gets finalized, and for more information on the Clubs program in the near future! This entry was posted in Reflections, Student Clubs, Education. Bookmark the permalink. Hi folks..I watched this dvd and would love to bring it to my commuity..I don’ have access to printer and my download is horribly slow..I wonder if free package could be mailed to me..I belong to a grassroots group (no funding) that works with dis-empowered local folks here in Canada..if possible please email me and I will forward address..Thanks and keep up this great and needed work! !